The Youngstown State University women’s basketball team defeated the Cleveland State University Vikings 79-65 on Jan. 15. 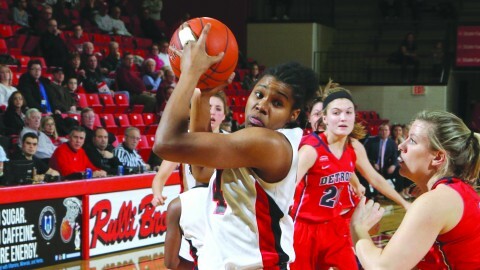 Senior forward Latisha Walker scored 21 points and four rebounds in the Penguins’ previous matchup. Photo courtesy of Ron Stevens. The Youngstown State University women’s basketball team is ready for the exciting matchups ahead of them this week. 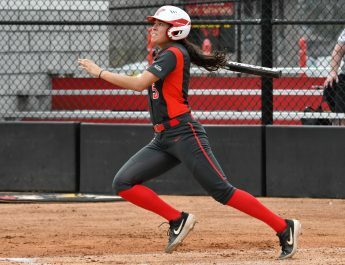 With Cleveland State University on Wednesday night and Valparaiso University on Saturday for senior day, YSU is prepared for the tournament play. Should YSU win on Wednesday night against Cleveland State, they’ll clinch a first round home game and its 20th win of the season. The Penguins won their last meeting against Cleveland State 79-65. Both teams are tied for third place in the Horizon League standings with an 8-6 record. The top four teams in the Horizon League will earn a first-round home game on March 11. After losing 73-27 to the University of Wisconsin-Green Bay last Saturday, the Penguins have put the loss behind them and look forward to possibly seeing the Phoenix again in the tournament. Senior forwards Heidi Schlegel and Latisha Walker have put the loss behind them and are looking ahead to the upcoming challenge this week. “It’s a new week and this is my last week of the regular season — I want to take full advantage of it, like I have my whole career,” Schlegel said. When asked about what the team has to do this week against Cleveland State to bounce back from a disappointing loss, Walker said the team has to play a solid defense. “Keeping them off the boards, playing solid defense and no second chance points is going to be the key to this game,” Walker said. Senior day is going to be a major milestone for Schlegel and Walker. Schlegel will finish her career as one of the best players in YSU’s history — she ranks sixth in career points with 1,621, eighth in career rebounds and already owns YSU’s record for made free throws. Walker has blocked 75 shots and is tied seventh for the most in school history, her 1.3 blocks per game average is second on the all-time list. “Senior day is going to be very emotional, but overall I know it’s been a great run for me and my teammates this far and hopefully we can go far in the tournament,” Walker said.